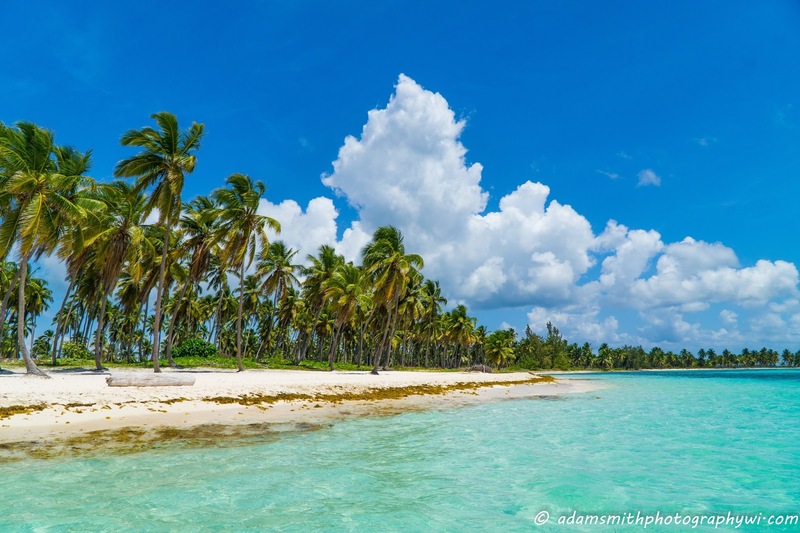 The Dominican Republic is a tropical paradise often associated with huge and lavish all-inclusive resorts along with tourist trap like prices in a country where, in theory, dollars and euros should go pretty far. Most people come here for the beaches which are numerous and gorgeous. However outside of the beaches there is so much to see in this country...Much more than we had the time for on our little spring break adventure. There is some fantastic history to explore in Santo Domingo's Zona Colonial, there are waterfalls, there are jungles and so much more. For this article, I'll focus primarily on what we did and how you can have some great beach time and go on some epic adventures the way of the backpacker. If you know me at all, you'd realize that I go out of my way to avoid the all-inclusive resort style accommodations because I think they detract from the cultural experience of traveling. Sure, there is a time and a place to be pampered and have everything at your finger tips. It's all a matter of personal preference. When I go somewhere, I want to explore and get a taste of local life which is why I'm a backpacker at heart. You don't really get that true cultural flare behind the walls (or fences) of an all-inclusive resort. They basically become their own subculture, catering to rich westerners (and costing a small fortune to boot). While the resorts in the Dominican are semi affordable compared to some other beach destinations, they aren't backpacker prices unless you've got a bunch of people to split the costs. Regardless, I'd still rather do things on my own as much as possible and explore the country than the confines of a resort. To that end, let's discuss accommodations in Punta Cana. 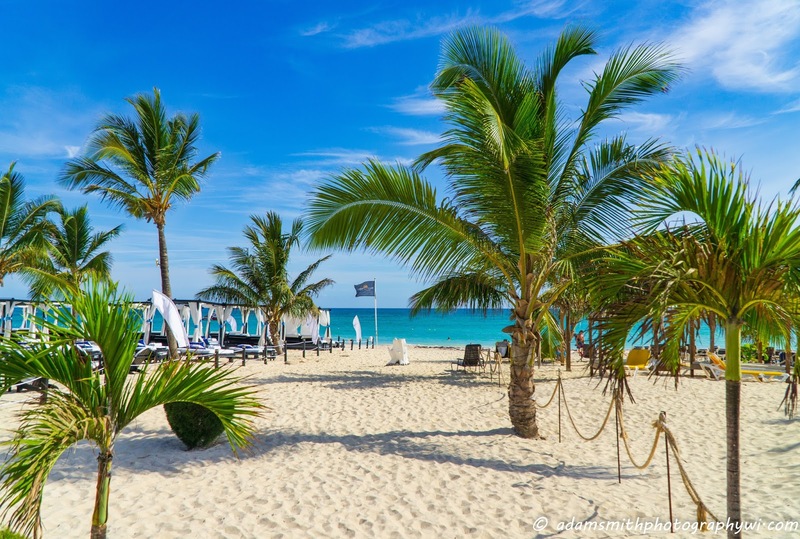 After stumbling on some pretty cheap flights to Punta Cana, I began researching accommodations and found that there are an overwhelming amount of options at just about every price point. I find it almost annoying when there are literally page after page of listings in my price range and rating level to sort through but this is a good problem to have. 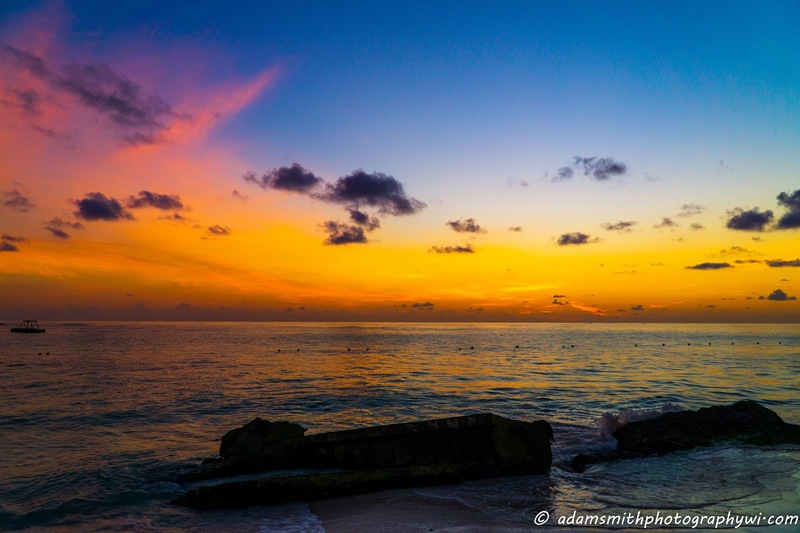 If you're willing to be a bit away from the beach, one could easily stay for $20-30/person a night in any of a number of nice accommodations a mile or so inland from the beaches. Some of these places even have free shuttles to take you down to the beach running during daylight hours. We only had a few days for this trip and wanted to get the most out of it, so we decided that staying on the beach was a priority. It's only a few more bucks to split, and waking up to the sound of the ocean is something you really can't put a price on anyways. I found a handful of highly rated hotels and guesthouses within meters of the beach that were all under $80 a night. You can even go the AirBnB route, but I decided against it here. We chose to stay at Tako Beach Rooms which is literally a stones throw from the ocean in a quiet spot nestled between a bunch of big all inclusive resorts and pretty close to a bunch of nice restaurants. It's a cute place and relatively comfortable. During off peak times, it looks like a room can go for as little as $40 a night. It's centrally located and I'd definitely stay there again if the opportunity presented itself! 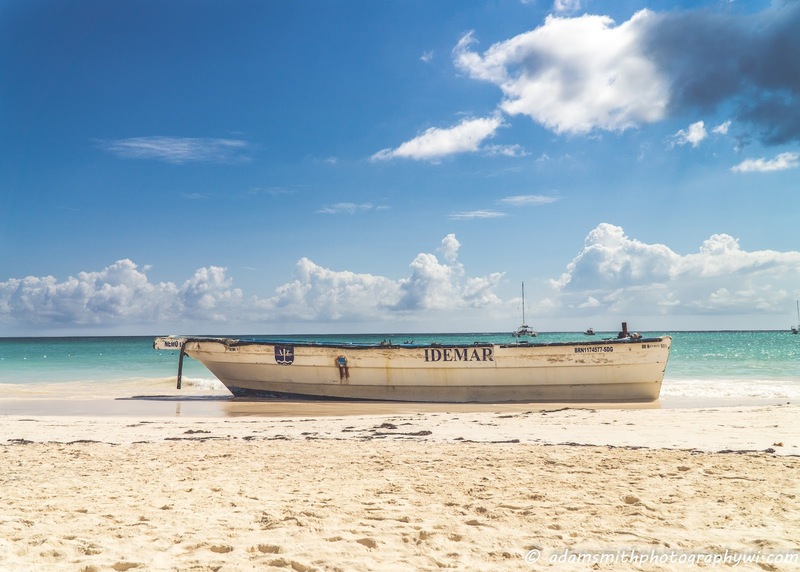 Outside of the beaches, there isn't a lot in the Punta Cana/Bavaro area to see or do other than eat - which is ok, because beaches are probably why you flew thousands of miles down to this part of the world anyways! If you're like me though, you'll need to get out and explore or at least see some different beaches than the one you woke up on! There are an abundance of day trip excursions from Punta Cana with destinations all over the country. There's probably something for everyone's taste and budget. I highly recommend booking a day trip to Isla Saona. This beautiful island is part of a national park and only reachable by boat. There are probably hundreds of tour operators offering what sounds to be almost the same excursion to Saona, which can be confusing and overwhelming if you don't know what to look for. I researched a ton of these companies before picking out a tour and here's a couple of tips I found useful and can attest to after my own experiences. Depending on the company you go with, prices can range from $55-120 bucks. While every Saona tour guarantees a certain amount of time on a beach on the island, not all Saona beaches are created equal. Some of them are full of lounge chairs and scores of boats constantly dropping people off, which kind of ruins the whole remote tropical paradise thing that this island is supposed to offer. If I'm going to a remote tropical island, I want it to actually feel remote. Look for a tour that visits Playa Canto de la Playa. This basically translates to singing beach in English and it is nothing short of amazing. This is the furthest beach to reach and the most virgin on the island. Most of the tours won't go this far, but I highly advise you to find one that does. 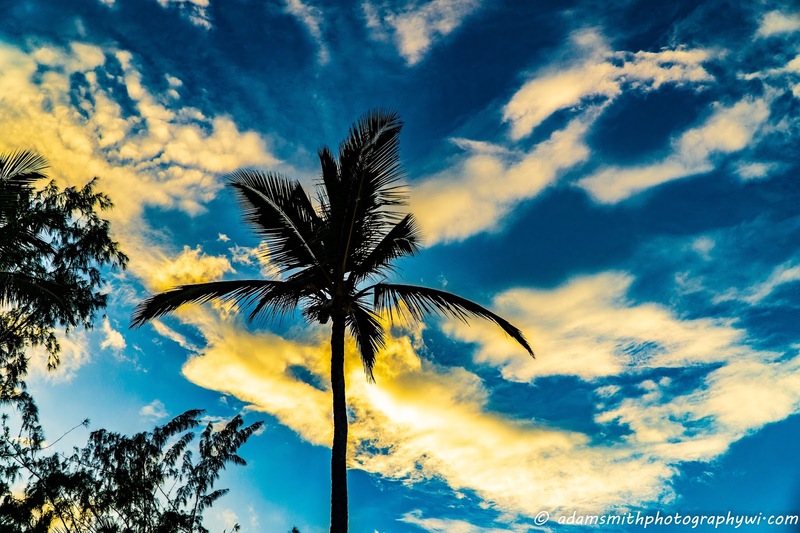 Canto de la playa is beautiful - it's the postcard worthy paradise many people only dream of with soft golden sand, beautiful coconut palms and a perfect sea breeze blowing to keep you comfortable. I could easily run out of superlatives for this beach and it is one of the best, if not the top beach I've ever visited. 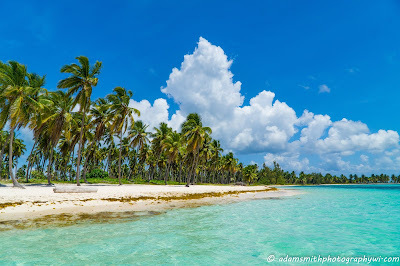 The sound of the rustling palm leaves and the birds singing in the trees coupled with water so colorful that it looks like a pool of jewels is and idyllic experience far better than anything the crowded beaches of Punta Cana/Bavaro offer in my opinion. My wife and I used Capitan Gringo for our excursion and were very pleased. It cost us $65 USD a person, far better than many other tour companies that don't even take you out to Canto de la Playa. 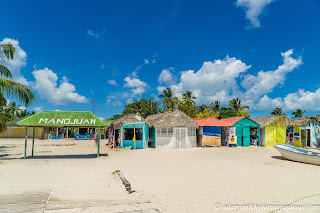 After spending a couple hours on the beach, we went to Mano Juan, a small fishing settlement on the island where we ate lunch and wandered around. It's a cool little place where only a handful of people live and some colorful houses and shops lining one short little street. Aside from Saona, we also got to stop in a shallow natural pool in the ocean loaded with starfish and then go miles away to the mouth of the beautiful Chavon river and catch a glimpse of the Italian village replica the Altos de Chavon. The ride there was insane with our captain dodging big waves and blasting through narrow lines between large ocean swells. It was intense and a lot of fun! 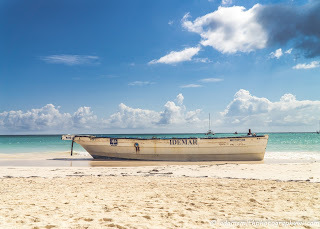 Another trip from Punta Cana worth embarking on is a visit to the less traveled Playa Macao. It's a 20-25 minute taxi ride that the drivers will try and charge $40-45 for which is a total robbery if you ask me. I was able to talk our driver down to 30 bucks, which is still far from cheap but tolerable especially if you can split the cost. There are apparently some local buses that you can use to get there, taking one to Friusa and then changing to another line that goes to Macao. We didn't have the time or motivation to figure out the buses which run irregularly with no set schedule so just opted for the taxi. Macao is a surfers beach, with a camp there offering lessons if you're interested. The waves are much bigger than anywhere in Punta Cana/Bavaro so be prepared for that. It's a gorgeous beach though and has a much more local feel. You won't find nearly as many tourists here, which is actually quite refreshing. If you're hungry or thirsty, the food and drinks in Macao are definitely cheaper than in PC/Bavaro. If you walk all the way down to the far right end of the beach, there's an unassuming yet fantastic restaurant that I highly recommend. It's known as D'Bale's or La almendra. You don't get a menu here, the waiter will take you to some big coolers and let you pick out the type of fresh ocean fish you want and then they'll cook it your way, either grilled or fried. My wife doesn't eat fish, so they cooked her up some chicken. We both absolutely loved our food here, it was an awesome local experience and our waiter, Acero, was as friendly and cool as they come. He even helped get us a taxi back to Bavaro. The prices here are definitely lower than the touristville Punta Cana area. Pro tip, right by the restaurant there is a small hill with an unassuming hiking path that goes along a ridge overlooking the ocean and leads to a couple of quiet beaches with gorgeous rocky back drops. You definitely want to check these out! If you continue further along the path, presumably there are some great panoramic views of the area but we chose to save our burning bodies from any additional sun after checking out the hidden beaches. All in all, Macao is definitely worth an afternoon of your time and even longer if you wish to take a surfing lesson. 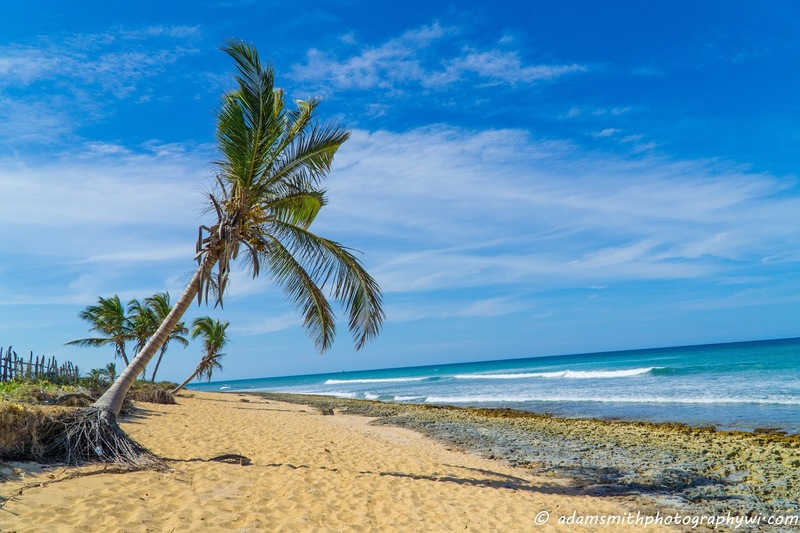 If you've got time, take a break from the beach and catch a bus to Santo Domingo. It leaves a few times daily from the Bavaro Express station near Friusa and can drop you close to the Colonial Zone where you can explore some of the oldest settlements in the new world. If you like history and old school architecture, you'll most likely love this. We didn't have enough time to work out a day to go, but this would be a priority for me on a return trip. The bus costs about $10 USD each way, tickets can only be purchased at the station and not more in advance. This is definitely the cheapest way to go. There are many tour companies offering a day trip there with a tight schedule but will ring you close to 100 bucks a person. If you're backpacking Punta Cana, you're taking the bus! Next time I visit the Dominican Republic, I'd love to stay in the Samana peninsula, perhaps somewhere around Las Terrenas. This is a completely different area than PC and close to some awesome waterfalls like the Salto del limon that I would love to hike to someday! Some other general tips to make your trip easier and more backpacker friendly, you should always confirm the price of a taxi ride before entering the vehicle. Prices are expensive, especially in the Punta Cana area. You do have some wiggle room to negotiate with some drivers. If they say no, you can try walking away and they might chase you down and agree to your rate! There are local buses going up and down the main streets and they do pass in front of many of the hotels and resorts, but figuring out which one you need is somewhat challenging. They're dirt cheap though and you can save you a ton of money if you're willing to put in the time to figure out the system. Note that there aren't bus stops per se, if you see a bus that you want to ride, you'll probably have to flag it down. Unless you're staying by one of the banks or in one of the bigger resorts, chances are you'll have to walk quite a ways to find an ATM. To that end, I'd bring more USD to keep it simple. Most everything in Punta Cana will take pesos or dollars. It's much easier to exchange money than it is to find an ATM (strange right!?). You might get a better deal in some restaurants or shops if you use pesos. Don't change USD (or any currency) for pesos in the airport, the rates are AWFUL. Some resorts have change counters but you'll also find various places walking around that will buy your dollars/euros\pounds for a decent rate. If you want to save money on food, the grocery stores are a cheaper alternative to the restaurants. You can load up on ingredients and cook your own food, assuming your accommodation offers some form of a kitchen! Drink some mama juana. It's basically like an earthy tasting shot of fireball and is apparently healthy for you too. Some even say it has aphrodisiac qualities, but regardless, it's a strong and nice tasting local beverage you should definitely try once or twice. If you're looking for recs on what/where to eat or drink leave me a comment and I'd be happy to share a few of the places we stopped at and enjoyed! 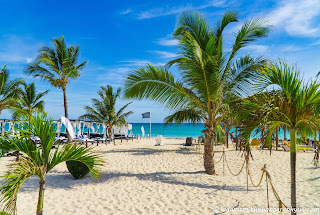 Side note, many of the resorts and places to stay are actually in Bavaro, but the area is typically referred to as Punta Cana which is kind of confusing at first but will make sense to you after a while! All in all, if you play your cards right, you can backpack the Punta Cana area and beyond on a pretty tight budget. The cheapest you could individually do it while being safe and comfortable would cost no more than 40 bucks a day for lodging, food and a drink or two. Obviously doing any extra excursions will cost more, but if you just want to chill on a beach with a couple drinks and read your favorite book, write your travel blog or simply watch the waves crashing all day the Dominican Republic is an affordable, albeit not cheap, destination. Make sure to follow me on instagram for more travel photos! Who Wants to Get Paid to Travel All Summer?